If you have found 10 gold coins, the remaining 90 coins are displayed on the Map. Once you have gathered all of 100 gold coins, then you have to toss them in the wishing well. This lies to the west of the field 40 at the coordinates [220, 1715]. 5. Addiction in the file by "capacity". Below you will find a number, which is the capacity. 6. Now you can freely change this value! Important: The first game completely finish !!!!! More Fields Possess Without Spending a Penny! 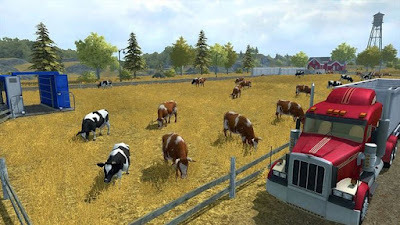 You navigate as usual to documents - My Games - Farming Simulator2015 - Savagame? (The number of your savegames). Then look for the file Economy - right-click - Edit. Field number = "2" ownedByPlayer = "false" means something like you don’t possess the number 2 field. You change the value from "false" to "true" save and start the game and already the field is yours!